For one person, appr. 8-10 sqm. Single room for one person, appr. 9 sqm. The room is fully equipped with private bath room with shower, WC, hairdryer, umbrella, shoe spoon, telephone, TV, safe box, minibar, working desk and free WiFi. Max. occupancy 1 person. Check in is from 2 pm. Check out is at noon on the day of departure. Buffet breakfast is served in the breakfast room between 7-10 am on weekdays and on Sundays and public holidays between 8 – 11 am. Room size appr. 9 sqm. One single bed for one person, bed width 90 cm. Single room for one person, appr. 9 sqm. 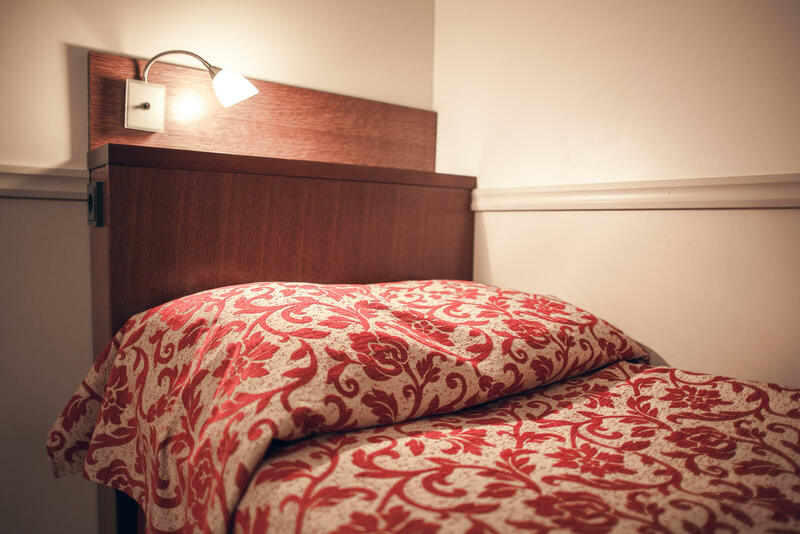 The room is fully equipped with private bath room with shower, WC, hairdryer, umbrella, shoe spoon, telephone, TV, safe box, minibar, working desk and free WiFi. with 120-140 cm wide bed appr. 11 sqm. Larger room with 120-140 cm wide bed, appr. 11 sqm. The room is fully equipped with private bath room with shower, WC, hairdryer, umbrella, shoe spoon, telephone, TV, safe box, minibar, working desk and free WiFi. There is also a Kettle and Tee/Coffee making facilities in the Superior Single Room. 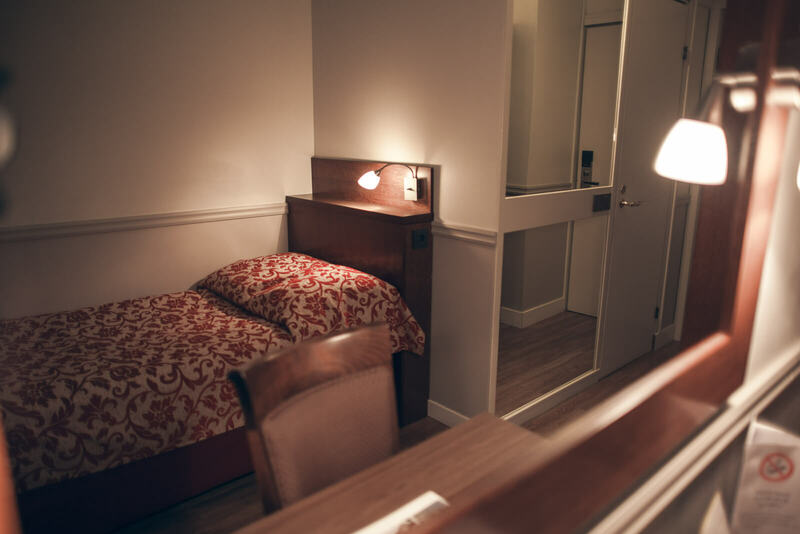 Most of the rooms are with two separate beds, but there are also a few rooms with a double bed. Room size appr. 12-14 sqm. The room is fully equipped with private bath room with shower, WC, hairdryer, umbrella, shoe spoon, telephone, TV, safe box, minibar, working desk and free WiFi. The Comfort Rooms have one sofa bed and the room size is appr. 16-20 sqm. The room is fully equipped with private bath room with shower, WC, hairdryer, umbrella, shoe spoon, telephone, TV, safe box, minibar, working desk and free WiFi. There are three rooms with bath tub in this room type. There is also a Kettle and Tee/Coffee making facilities in the Comfort Rooms. With two sofas, 25 sqm. 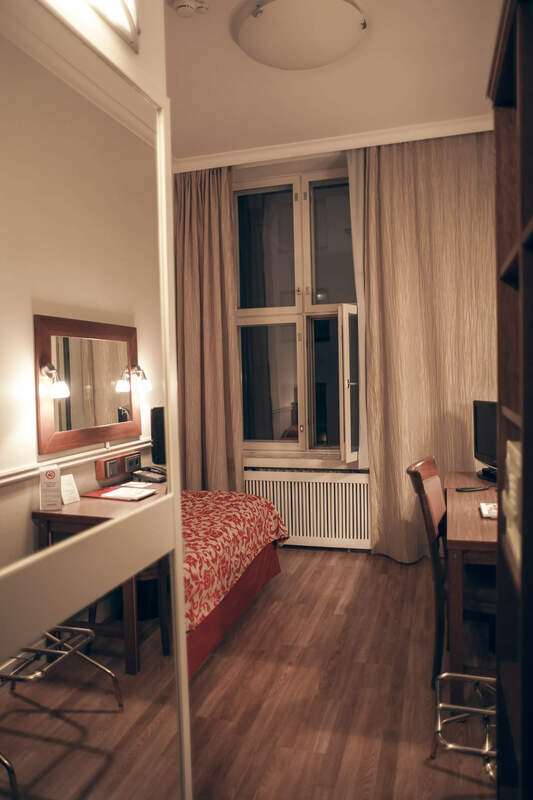 The Superior Twin rooms are corner rooms with windows in two directions and the room has 2 sofa beds. Rooms size 25 sqm. 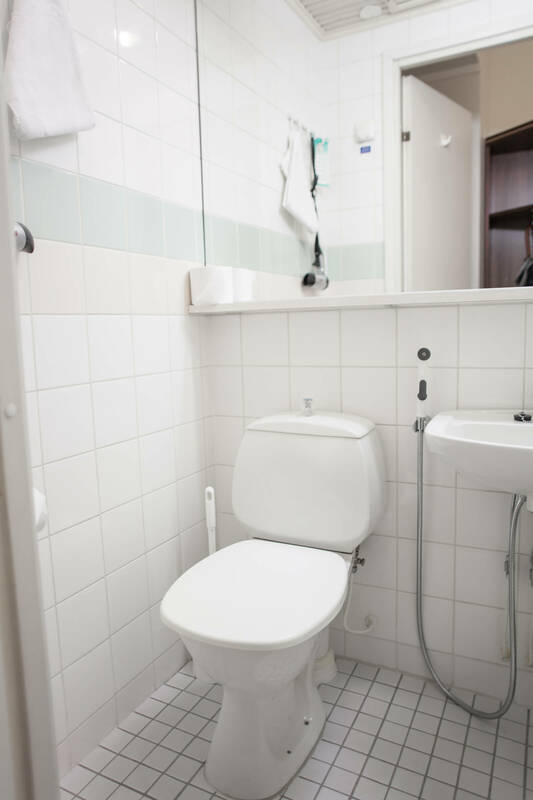 The room is fully equipped with private bath room with shower, WC, hairdryer, umbrella, shoe spoon, telephone, TV, safe box, minibar, working desk and free WiFi. There is also a Kettle and Tee/Coffee making facilities and larger selection of amenities in this room type. Max. These rooms are in the top floor (7th Floor). Elevator only to the 6th floor. Room size appr. 30 sqm. with two separate bed rooms. 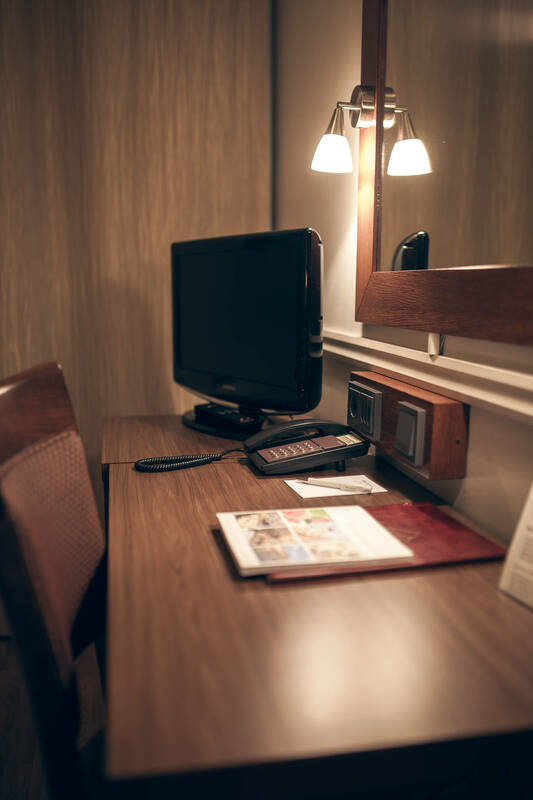 The rooms are fully equipped with private bath room with shower, WC, hairdryer, umbrella, shoe spoon, telephone, 2 TV sets, safe box, minibar, working desk and free WiFi. There is also a Kettle and Tee/Coffee making facilities in the room. Two of the rooms have a kitchenette with tap water, refrigerator and microwave oven.